by Jason Melendezco-author of "e-Plan Your Wedding: How to Save Time and Money with Today's Best Online Resources"
Sometimes it's smart to jump on the bandwagon. If you're planning a wedding and are looking to make life a little easier, the personal wedding website is one wagon you don't want to miss. From managing your guest list to balancing your budget to e-enabling your gift registries, a wedding website is a fun, convenient way to smooth the planning journey. And for those who think website options are limited to cheesy templates, expensive custom jobs, or time consuming build-it-yourself-from-scratch projects, think again. Today's wedding websites are slick, beautiful, and powerful services. Even if you have zero tech experience, you can get your own wedding website up and live on the web in just minutes-for little or no cost. The sooner you get yours going, the more of a benefit it will be, so put this time-saving e-Resource to work for you ASAP. A good wedding website is professional, just as customized and beautiful as the rest of your wedding, and packed with convenient features. Your guests will get instant 24/7 access to everything related to the big day: your gift registries, RSVP manager, maps, directions, photo albums, video clips, and event calendar...just to name a few. You'll have a centralized source of information, too. Access resources like your checklists, guest database, address book, budget manager, and payment tracker from anywhere you have Internet access. Keep in Touch: Is your guest list or bridal party scattered across the country or even the world? No problem. Forget the costly long distance bills; a wedding website is a globally accessible place to exchange ideas, provide information, share photos, even discuss music options. Got any big announcements, changes in plans, or news on upcoming events? Let everyone know by including the info on your website. Inform Your Guests (and Vice Versa): As the wedding day draws near, the questions will start rolling in. "How do I get to the church?"... "Can I change my dinner choice from fish to beef?"... "What's the hotel reservation block number again? "...you get the idea. Without a wedding website, expect your phone to be ringing off the hook, along with your sanity. Having a resource to point everyone towards is going to save you more than a few gray hairs as you scramble to take care of last minute details. Plus, it just makes it easy and more convenient for your guests to have an informative spot to pull maps, directions, reservation info, and everything else they'll need. Worried about how to get info about your gift registries out to your guests? Activate your website's online gift registry, link it to your stores, and put your website address on your invitations. Problem solved. An online RSVP update is another example: let guests inform you of changes in meal choice or number attending on your website, without them having to track you down by phone. Manage and Organize Your Planning: Information organization and management are areas a computer is especially good at, so it only makes sense that you can leverage this processing power to your wedding planning advantage. Most professional website services include planning tools that are integrated with your site. Examples include budget managers, guest databases, payment trackers, and online RSVP features. And because they're integrated, they all work together. When guests send you an e-RSVP, for example, your guest database is automatically updated. Centralize Your Information: When you build your guest list online-or create it offline and import it-you get a conveniently searchable database of contact information. This is a vital time and sanity saver. 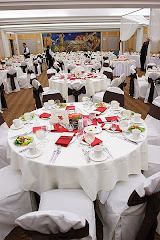 It also keeps guests' RSVP information, gift records, birthdays, correspondence history, and more all in one place. With a self-building online address book, your guests can even update their contact information for you as it changes. No need to hunt through notes or make phone calls to get the latest scoop on your guests' addresses. Even after the wedding is long over, having such a dynamic and convenient directory of information for all your friends and relatives is something you can continue to use for sending and tracking thank-you notes, holiday cards or arranging future events and get-togethers. But your guest information isn't the only thing you'll have in one place here. Your website is also an organized source of vendor contacts, events and deadlines, payment schedules, music lists, photo collections...you name it. Consolidating it all to a single location that can be accessed 24/7 from anywhere you have an Internet connection is a convenient, headache-saving asset you'll come to love and appreciate. And when you need to have your info to go, just generate a report, worksheet, or other printer-friendly take-along. 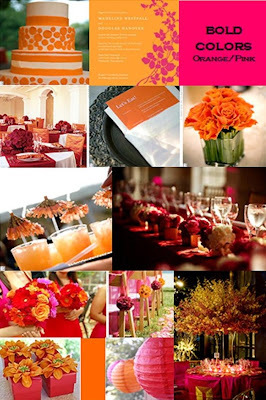 Involve the Groom: While the groom-to-be may have little (if any) interest in selecting bridesmaids' dress colors or choosing the right floral centerpieces, building a wedding website is a fun way to work together in the planning process. He can add his own version of how the two of you met and enter bios for the groomsmen and his family. We know of couples that, for various reasons, were geographically separated throughout much of the planning period. Their wedding website was the primary way for both to keep abreast of the details the other was managing. Preserve the Memories: Your wedding website is an incredible keepsake. With all its photos, guestbook entries, message boards, notes, informative pages, and lists, it's a detailed scrapbook that captures all facets of your wedding planning journey. Many couples choose to keep their website active and "evolve" it into a family, baby, or travel website after their wedding. Others opt to save it away on a CD. Whatever you choose, your wedding website can live on as a great memento long after the big day. Afraid that a wedding website will be too time-consuming to set up? That it will cost too much, or be too "technical"? If so, you'll be pleasantly surprised to find how easy and inexpensive your own big day's dot-com can be. You're doing this whole website thing to make life easier after all, not to add another item to your to-do list. With the latest do-it-yourself wedding website services, anybody can have a customized website live and on the Internet in minutes. You can add to it at your own pace. And because most services provide generous free trial periods, it won't cost a penny to try. Scope for a good service online at an impartial service directory like www.weddingwebsites.com, check a search engine like Google, or ask a fellow bride (or groom!) for a referral; chances are, they've got a website, too.